Have you discovered The Hybrid? I know I've talked about it here and there and everywhere, but I'm frankly not done because preorders are still open which means y'all can still get it. 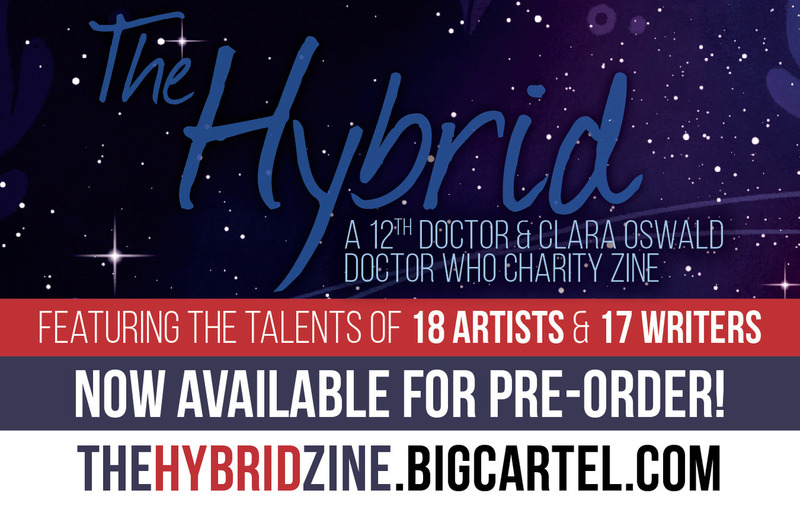 A while back, Ginger Hoesly threw out there that she was considering putting together a 12th Doctor and Clara Oswald zine. A few months later, and it's on sale, with all sorts of neat merch attached and a frankly astonishing set of writers and artists on board. What's great — and what enabled me to take part — is the fact that this was more a zine-thology (aha! ), with both art and stories. I'm not big into the zine scene, but I understand it's largely art-based. So doing this gave me a chance not only to create a new story for one of my favorite TARDIS teams, but also to work with some old friends (like Mike Dent and Paul Driscoll) and some new-to-me talent. 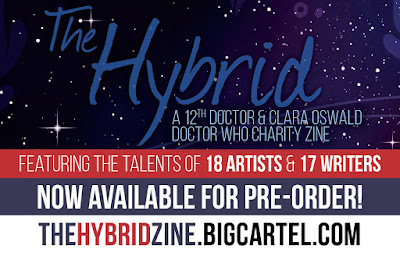 The proceeds from this will be going to One to One Children's Fund, for which Jenna Coleman is an ambassador. And there are a lot of different ways to go about supporting them. 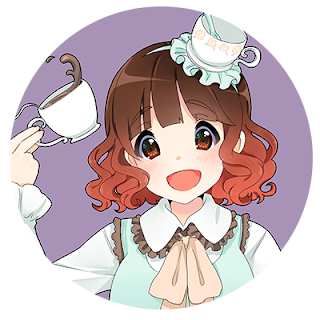 There's a digital book in case you're not keen on shipping costs, or if funds are low but you still want to contribute and get something nice in return. There's a print book to hold in your hand. There are also merch packages. What's that about? Again, in the new-to-me world of zines, there's fan-made merch you can add on to your order. In this case, the merch orders also raise money for the charity, so it's more goodness all 'round. 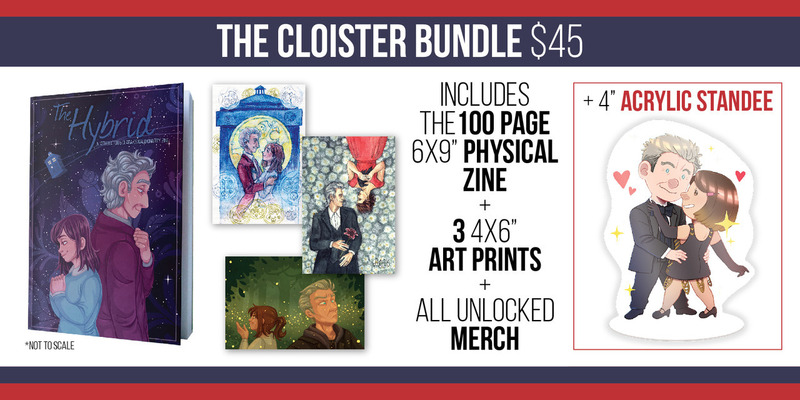 The bundles for this work kind of like stretch goals on crowdfunding. At the time of this writing, the bundle includes three prints. When they hit 25 orders, everyone who orders a bundle (including those who already paid) will also get three stickers and an iron-on patch. At 50, all that plus two acrylic charms. And so on. There's also the Cloister Bundle (which I named, I'm so proud), which includes a book, merch bundle, and an acrylic standee designed by zine artist staypee. If you're not familiar with acrylic standees, they're rad — basically another alternative to figurines. They're all the rage in Japan. Preorders are open now, and since I have a lot of Who types following me, I'm sure there's some of you who will need this in your life in some form. Bonus? 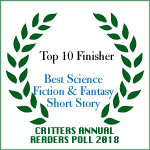 Mine is apparently the first story in there. So new weird Kara fiction, no waiting. Let me know if you preorder a copy! I want to see who in my circles is buying these up. And once they get shipped out, I'd love to know which stories and art people especially like.